Frequently Asked Questions - Centre Tomatis de Paris. What are the results of the Tomatis® Method in children? How long are the results of the Tomatis® Method perceptible? The results are variable according to each individual and as in any alternative therapeutic approach it is impossible to guarantee systematic results. Generally, the results of the Tomatis® Method must be analyzed at two levels, the first rather superficial and the second more in depth. At a superficial level, many positive manifestations are noticed very quickly, and this is within a few weeks or even a few days following the beginning of a listening session under the Electronic Ear; The Tomatis® Method is often seen as a dynamic process that is easy to follow both by the subject who benefits from it and by those around him. At a deeper level, it is necessary to understand that the reorganization that induces work under the Electronic Ear allows the subject to regain its internal equilibrium and thus to modify, in the good sense of the term, its Own scale of value; This in-depth evolution is less spectacular and takes place at a slower pace. One of the important points is that these improvements will not only be sustained over time but will continue well after the end of Tomatis® sessions; Thus a well-conducted work under Electronic Ear will produce effects for several years, the subject having been re-installed in its evolutive norms that only a new major event could backfire: in this case, a simple short boost in a Tomatis® Center is often enough for the restoration of equilibrium and to the continuation of evolution. Is the progress made during the Tomatis® sessions maintained? Yes, generally the progress made during the Tomatis® sessions is maintained for the simple reason that they are not due to conditioning but to a return to equilibrium. Indeed, if the reasons for consultation in a Tomatis® Center are very varied, they always correspond to a dysfunction and therefore to a state of neurophysiological non-balance more or less pronounced. Work under Electronic Ear therefore tends to bring the subject back to a state of equilibrium which, by its normality, requires much less effort than any other situation more or less dysfunctional. In the great majority of cases it can be seen that the progress made by the subject during the sessions is not only maintained but can continue, once the process of evolution has been restored to normal. At what age does the Tomatis® Method work best? The Tomatis® Method remains effective in all circumstances, knowing that certain criteria may facilitate or, on the contrary, slow down the improvements it induces in the subject. Thus, according to the causes of consultation, young age can be a factor of facilitation: this is especially the case when the problem is at the level of language, psychomotricity or schooling. On the other hand, in older subjects (adolescents, adults), personal motivation often makes it possible to overcome the difficulty due to the age of the disorder. There is, therefore, no real age limit for benefiting from the Tomatis® Method, and experience shows that in the vast majority of cases, good results are obtained in all subjects, Children, adolescents, adults or even the elderly. However, sessions are generally not recommended for children under 3 years of age. Can the Tomatis® Method be dangerous? No, the Tomatis® Method is a non-invasive and totally natural re-education approach. It involves using the ear in its primary function of sensory integrator. It is not a treatment in the medical sense, and even if it is used by medical, paramedical, pedagogical professionals, it never replaces any of their techniques, but simply reinforces it when it is used Effectiveness. In fact, the Tomatis® Method simply allows a smooth return to normal, without ever provoking either a traumatic situation or a state of imbalance. The subject finds its own standard, which always has the double advantage of relieving it on the one hand, and on the other hand allowing it to maintain effortlessly the progress made during sessions under Electronic Ear. During your first listening session, about half way (around 15 hours) and at the end of your listening session a listening test followed by an interview is complted which allows the consultant to gather information, as well as observations of the client and / or feedback from the parents when it is a child. An explaination according to the analysis of the listening test is given to the client. The listening test may in some cases be supplemented by other test batteries, but it alone can already provide accurate and objective information, in particular with regard to the functions of sound analysis, auditory laterality , Spatialization and adaptability to the environmental environment. How long does a Tomatis® procedure last? An approach under the Tomatis® Method may have a very different duration depending on the amount of work to be done. This being so, the aim is always to enable the subject who undertakes such an approach to recover his optimal autonomy as soon as possible. Work under the Electronic Ear should, as far as possible, be limited in time. Thus, as an indication, the number of sessions in a Tomatis® Center rarely exceeds 3 or 4, the first being 2 hours per day for 13 days. Each session is followed by a period of integration during which the subject does not make a session: thus, it generally takes 3 to 4 weeks between the 1st and 2nd, 2 to 3 months between the 2nd and 3rd, And 6 months between the 3rd and the possible 4th. What is the difference between the Tomatis® Method and the CDs that refer to it? 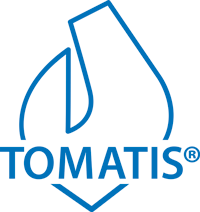 References to the Tomatis® Method are very numerous throughout the world, because its reputation brings trust to customers; Unfortunately, the products sold are often only a distant relation with the works of Alfred Tomatis. CDs that refer to Tomatis® are often nothing more than compilations of musical works, more or less well done, that can not produce the effects of the Tomatis® Method insofar as the subject listening Does not benefit from the functions of the Electronic Ear with “Tomatis® Effect”. These very specific functions allow, thanks to the electronic alternation as well as the air and bone conductions, to work on listening, on the lateral hearing, on spatialization, on accommodation, on precession, Analysis of the sounds and finally on the audio-vocal loop. Can the Tomatis® Method be combined with other therapies? Yes, and in some cases it may even be desirable. Often times the client is already in therapy, and his therapist, knowing the Tomatis® Method, is aware of the activation that can be produced by sessions under the Electronic Ear. The Tomatis® consultant considers that there is no inconvenience that his client would be supported by external therapy, and he would simply advise him to wait until the effects of the sessions were consolidated before undertaking this other approach. Finally, it may happen that the Tomatis® consultant identifies a problem that obviously comes from outside therapy: he will then advise his client, from the identification of this problem, to consult another therapist, prior to beggining any sessions under the Electronic Ear. In fact, in such cases, the Tomatis® Method will act as a technique to optimize the effectiveness of external therapies: there is therefore neither incompatibility nor competition, but on the contrary supported by an effective accelerator. Many professionals already know this and choose either to work in relation with Tomatis® professionals or to train themselves in the Method to make their own technique even more efficient. It is recalled that the Tomatis® Method can in no way substitute for a treatment advised by a doctor. If you are uncertain about the suitability of the Tomatis Method, you should ask your doctor. In order for the brain to change its mode of perception, it is necessary to give it information that is often repeated, and this for a certain time and at a sufficiently sustained rate. This exercise, like any other, whether intellectual or sporting, causes a real deconditioning, the body discovering that it can function otherwise and, therefore, that there is a possible choice. The most common rule is that during a first session of 15 days, 2 hours of daily listening; Thereafter, the sessions are limited in any case because the Tomatis® Method is never intended to put subjects in dependence, rarely exceed 8 days and are spaced apart by several weeks. Just as the brain needs intensive and repeated stimulation, it also needs periods of non-stimulation to build and consolidate change. This rule is found in the context of any training, the construction being done after the effort during a phase of apparent passivity: it is actually a phase of integration. Stimulation is a disturbance for our organism, and we must therefore grant it rest periods during which this integration takes place. Therefore, the rule is to make a first session of 15 days at the rate of 2 hours daily hearing stimulation under the Electronic Ear, followed by other sessions of 8 days, usually in limited number; The aim of the Tomatis® Method being always to put the subject as quickly as possible in a state of optimal autonomy. The first 2 sessions are spaced from 3 to 4 weeks, then 2 to 3 months between the 2nd and 3rd, and then 6 months between the 3rd and the 4th session. It is a fact that after much experimentation with other music, the results obtained by using Mozart’s are amazing, no matter which region in the world it is practiced: indeed, we find that on all continents , This music is not only very well accepted, but it allows each subject to restore its own internal balance. Up to about 4000 hertz, filtering allows the brain to orient itself towards acoustic analysis of different precise areas; Listening to even more filtered sounds corresponds to a prenatal experience, which does not mean that the fetus does not hear the bass. According to Alfred Tomatis, if the ear is functional so early in fetal development, it is because it has the role of dynamising the nervous system into structuring; It is to take advantage of this primordial skill of the ear at the prenatal stage that Alfred Tomatis wanted to use filtered sounds, these allowing to ease the ear of its function of discrimination of sounds. Moreover, by the very fact of the physiology of the inner ear, the acute sounds cause a much stronger nervous stimulation than the severe sounds: in fact, the hair-receiving cells of the sound stimuli are much more numerous in the reception areas and Analysis of acute sounds than in those of severe sounds. Is the Tomatis® Method effective in hearing loss? The Tomatis® Method does not allow for any improvement in hearing as long as there is irreversible damage; On the other hand, it makes it possible, whatever the case, to optimize the use of the listening potential, no matter how small. In the event of an ENT problem, please consult an ENT doctor beforehand.